Disabling your cable doesn’t mean you have to cut Fixer Upper, House Hunters, or The Property Brothers out of your viewing schedule. Alongside NBC, HGTV is one of the most recommended channels that people ask us how to watch without cable. Thankfully, there are multiple streaming services that offer HGTV without being tied to a cable subscription. Unfortunately, HGTV is not broadcast over-the-air and is not able to be picked up with an antenna. That means we can’t legally watch it for free, but doesn’t mean it’s not available online. Like most other live cable channels, there are alternatives to cable that will let us stream HGTV for a low monthly fee. You’ll still require an internet service, but disabling your cable should drastically reduce your internet bill. If you’re looking for a way to get cheaper internet, our guide on alternative internet providers has some resources that makes finding a new ISP quick and easy. What else do I need to watch HGTV online? Every streaming service that we recommend to watch HGTV is going to require hardware to use. Unless you want to watch Property Brothers on your phone or tablet, you’ll need a way to stream directly to your TV. The “right device” depends entirely on the streaming service you pick, as well as how you plan to use it. 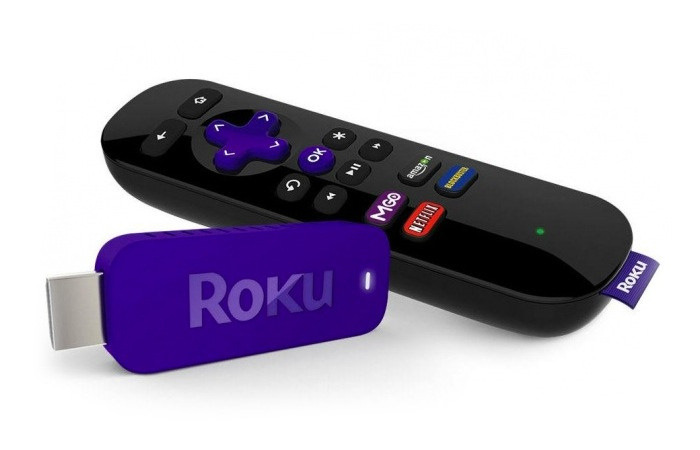 Streaming devices connect to the back of your TV and use your WiFi connection to play content. They are all basically small computers that use your TV as a monitor and allow you to download streaming services’ apps. Some Smart TVs will be able to play these apps without any additional hardware so make sure you look for the app before you buy something you don’t need. Each device has different compatibilities and features that we’ve outlined in our guides. If you want a device that’s compatible with most major services, watching HGTV on an Apple TV or a Roku is probably your safest bet. 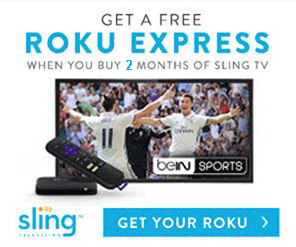 Sling TV is a owned by Dish Network and is one of the cheapest streaming services available. Sling’s goal is to turn cord cutting as “al la carte” as possible and their pricing and package sizes show that. Unlike most of the other services, Sling TV offers cheap and small core packages and a lot of add-on packages to help customize your service. Their core packages are known as Orange and Blue and cost $20 and $25 a month respectively. Luckily for us, HGTV falls into the smaller main package and doesn’t require any additional expenses for add-ons. Sling TV’s Orange package has a lot of great channels, but can be quite a difficult transition if you’re used to cable. Their add-on packages make the switch much more tolerable and are easy to add at only $5 more a month. Some of the most popular add-ons include the Kids Extra, Sports pack, and Lifestyle Extra. The Lifestyle Extra is one we find a lot of HGTV lovers enjoy the most. 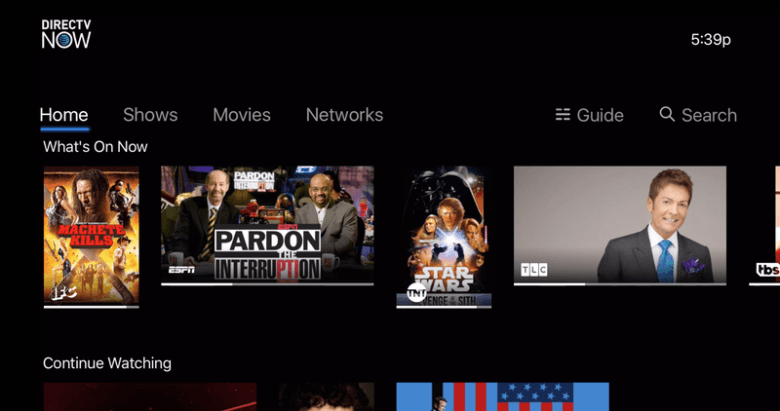 Sling TV is a major name in cord cutting and is as reliable as it is inexpensive. It’s also compatible with most devices so you won’t have to worry if you want to switch later. Another benefit of choosing Sling is that they have a 7 day free trial. It’ll let you experiment with the service to make sure it meets your expectations before you disable your cable. They also have a few deals that get you a free piece of hardware if you prepay a few months of the service. 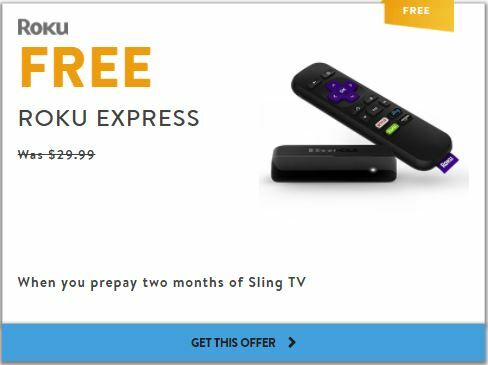 The deal below is for a free Roku, but you can see their other offers here. It used to be that satellite was the best and cheapest way to watch TV without cable. With the rise of online streaming services, DirecTV decided that “if you cant beat them, join them”. Their streaming service, DirecTV Now, requires no satellite and isn’t contract based. At $35 a month, it’s a little bit more expensive than Sling TV if you just want HGTV, but it’s a great option if you want more content. The $35 package that includes HGTV is called the Live a Little package and includes over 60 channels. They also offer other larger packages that cost $50, $60, or $70 a month and add 20 extra channels each time you increase in size. The following is a list of currently available channels at our Boston office, but make sure to check out local options for your home. You can see a full channel list on their website. Some of the notable channels for HGTV fans are Discovery, DIY, History, and plenty of others. Due to their large package options, DirecTV Now is a great option as a first transition to cutting cable. If your family is used to cable and watches a lot of different channels, DirecTV Now will help you keep your content but drastically reduce your monthly bill. Even their smallest package has one of the best channels per dollar ratio out of all the streaming services. It may be less customizable than Sling TV, but each channel costs less. One downside to DirecTV Now is there lack of a DVR. Sling TV doesn’t include a DVR either, but at least they have the option to add it for $5 a month. 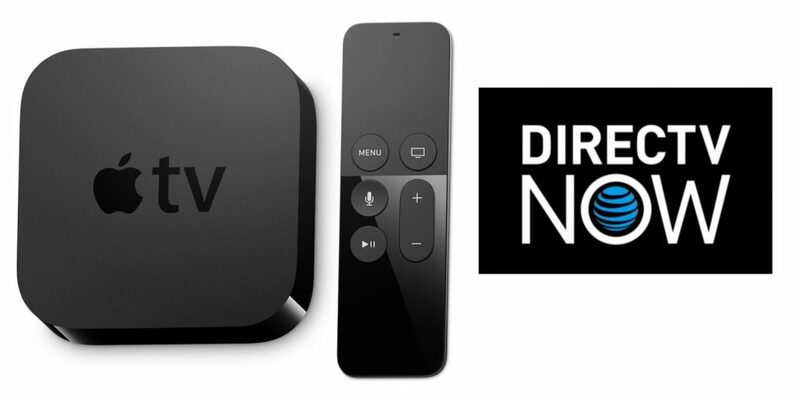 DirecTV Now has stated that they will be releasing a DVR feature in early 2018, but there hasn’t been a date formally announced. If your family is big on DVRing TV and can’t see yourself without one, DirecTV Now might not be the best option. Otherwise, the service is fantastic and competitively costed for what you’re getting. You can watch HGTV on DirecTV Now through a Roku as well as almost every other major streaming device. DirecTV has a 7 day free trial that will let you get a feel for the service before you disable your cable. They also have some device offers and are currently giving an Apple TV 4K if you prepay a few months of the service. Watch HGTV without cable on your free Apple TV! When most people think of streaming services they think of Netflix and Hulu. Both companies have become household names in streaming on-demand content, but Hulu has taken that a step further. Recently, Hulu has started to offer an additional service that providers viewers with Live channels in addition to their on-demand library. You’re no longer forced to wait a few days for content to become available in order to watch the latest episode of your favorite shows. The following image shows channels available through Hulu at our Boston location. You can check which of these channels are available at your location by visiting Hulu’s channel lineup page. At $39.99 a month, Hulu with Live TV is the most expensive option on our list if you’re not already a Hulu subscriber. However, if you already pay the monthly fee for their on-demand service then you can get live channels for only $32.99 a month. Although you’ll pay a slight premium over Sling or DirecTV Now, Hulu’s massive on demand library easily offsets the cost. You’ll be able to watch the latest episodes of HGTV shows live as well as binge watch all of the series you’ve missed. If you choose to get Hulu with Live TV and plan to watch on-demand content, we recommend paying the extra $4 a month to remove the commercials. Watching commercials on live TV is one thing, but watching the same 3 commercials over and over during the on-demand stuff gets old fast. Hulu is also exceptionally good at bypassing ad-blockers, so don’t bank on Ad Blocker Plus saving the day. Hulu offers a 1 week free trial for first time subscribers that will let you test out the service before you commit to a full month. It will also give you a chance to view their on-demand library for yourself and see how much you’ll use it. If you’re not going to watch anything on-demand then there’s no point in paying to remove the commercials from on-demand content!